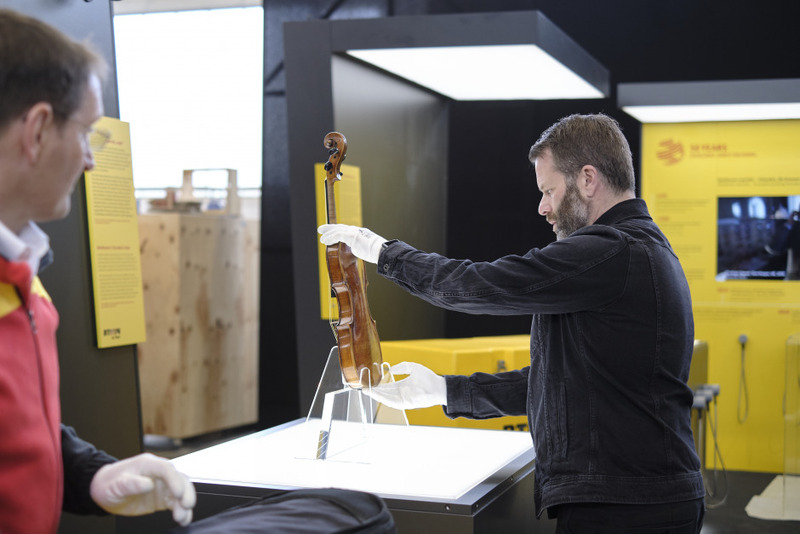 For many years, Deutsche Post DHL Group – with its worldwide headquarters in Bonn, Germany – has taken an active role in supporting and hosting musical performances and cultural events during the annual Beethoven Fest held in the former German capital. 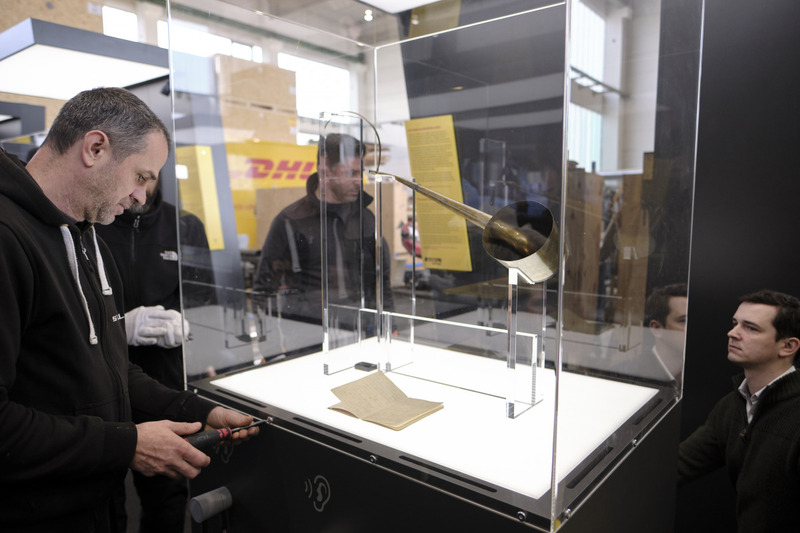 The city is the world-famous composer’s birthplace and home to the Beethoven-Haus Bonn, a museum and historical institute housed in the building where Beethoven was born in 1770. A number of ideas were proposed to commemorate the 250th anniversary of Ludwig van Beethoven’s birth in 2020 and one in particular stood out: the concept of sharing priceless antique artifacts from the Beethoven-Haus Bonn’s collection of Beethoven memorabilia with audiences that would otherwise never have an opportunity to see them. 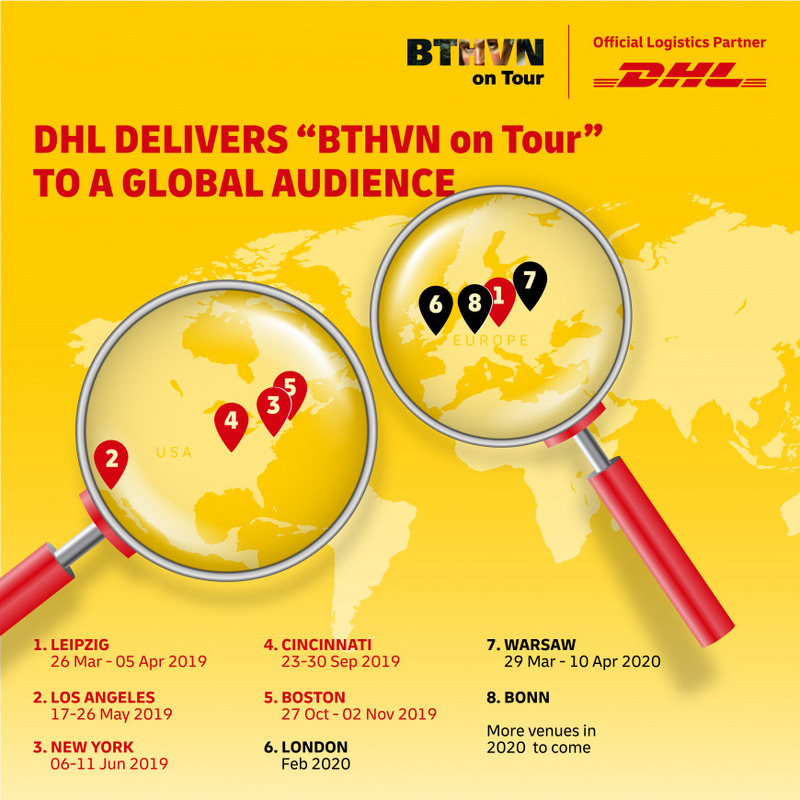 With the expertise of DHL, ‘BTHVN on Tour’ was born. 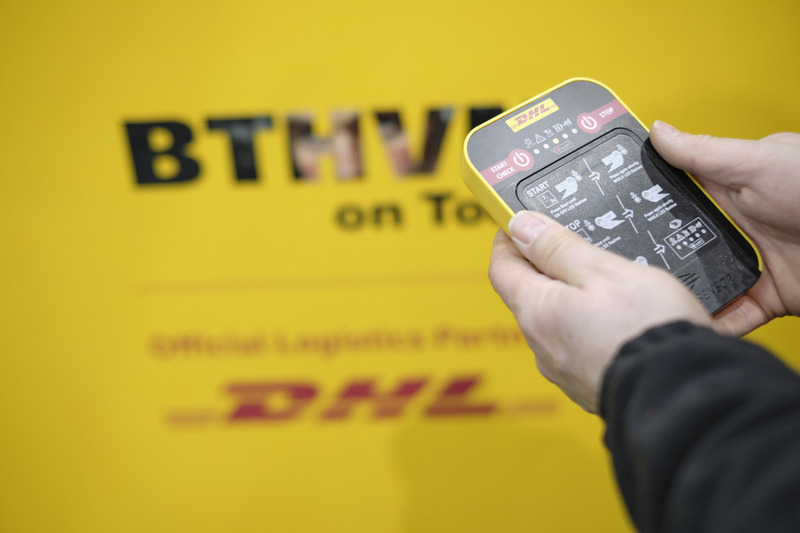 The collaboration has included close interaction and detailed discussions between experts from Beethoven-Haus Bonn und DHL from the very beginning. 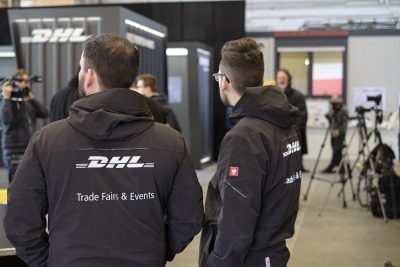 During initial brainstorming, it was decided jointly that the travelling exhibition would be housed within a modular framework that highlighted the expertise of the two partners, while providing on-site display flexibility at a variety of locations in cities all across the globe. With many years of experience, a dedicated team of Corporate Communications at Deutsche Post DHL began making suggestions and plans. In parallel logistics specialists from DHL Freight’s subsidiary Trade Fairs and Event advised the creative team on the ideal dimensions and configurations for transporting the exhibition across the globe via truck and aircraft. 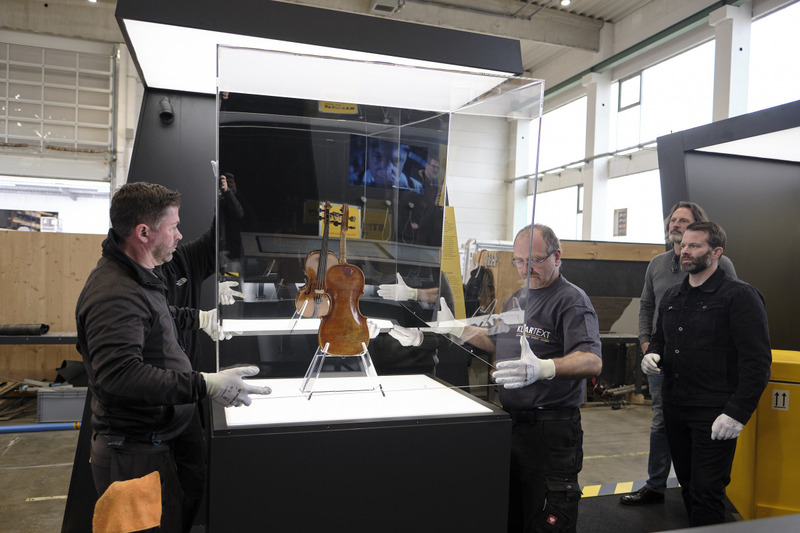 First, however, a detailed planning process was begun to determine what could and should be on display. 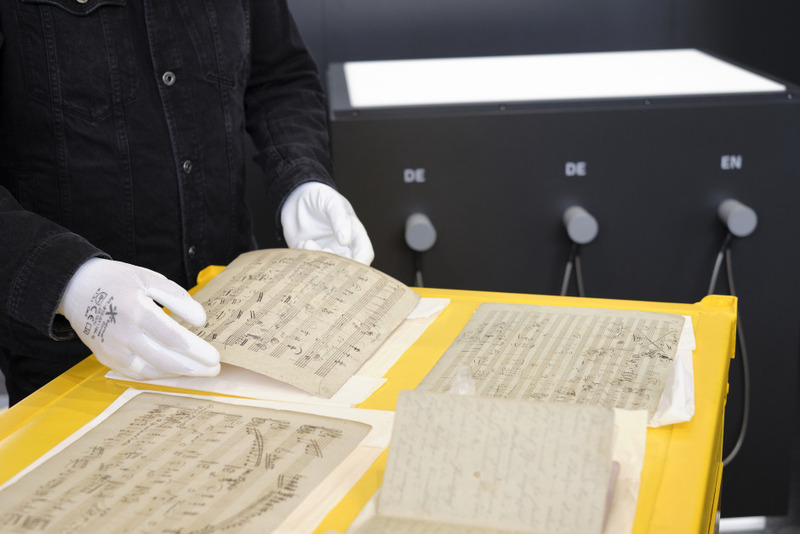 Beethoven-Haus Bonn experts searched their archives and collections to select sketches, models, artwork and imagery. 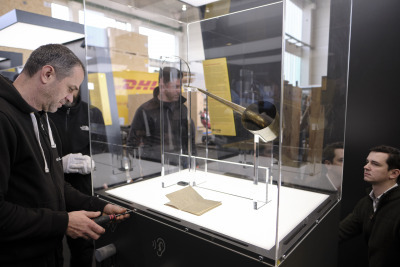 At the same time, initial explanatory texts were prepared in German, English and Spanish to provide exhibition visitors with cultural and historical context for the displayed items. 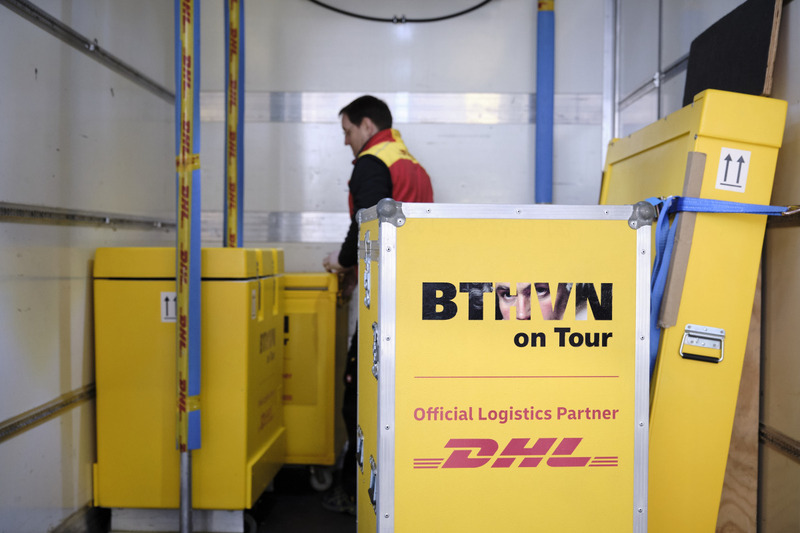 The core organizational team of professionals from DHL and Beethoven-Haus Bonn met regularly over the course of half a year to bring this project to life – taking an idea and transforming it into physical reality. 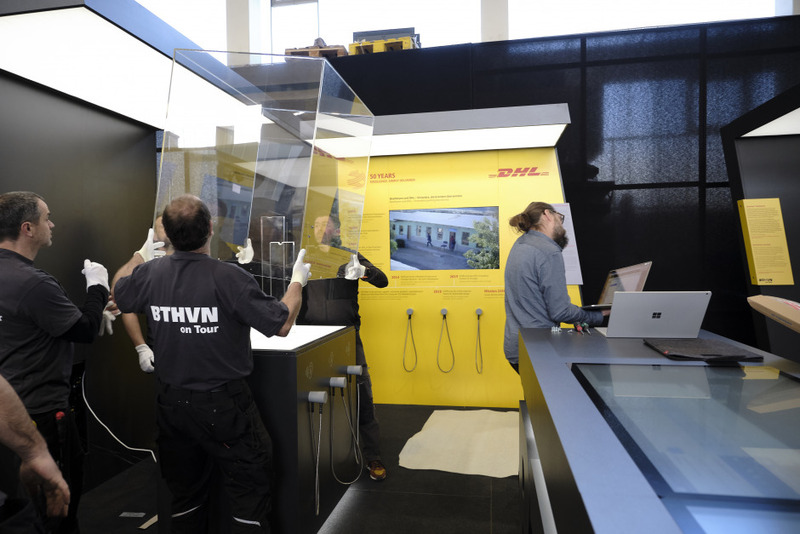 Ultimately, an exhibition floor area covering approximately 70 square meters was set, divided into segments framed by wall elements designed and built to resemble a highly-stylized land and sea freight cargo shipping container. The sides of the display area are open to allow visitors to access it from all sides. 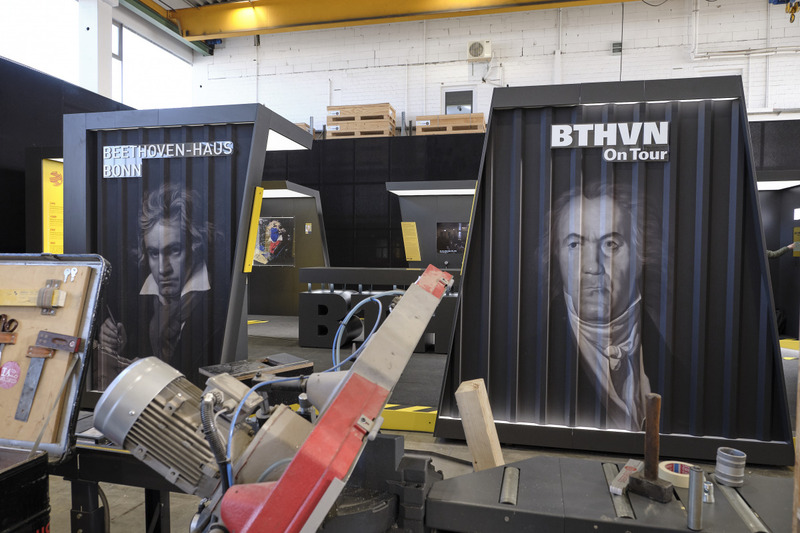 Within the framework, priceless and irreplaceable historical museum objects alternate with state-of-the-art multimedia presentations, offering visitors opportunities to interact with objects from Beethoven’s life and career as a composer. 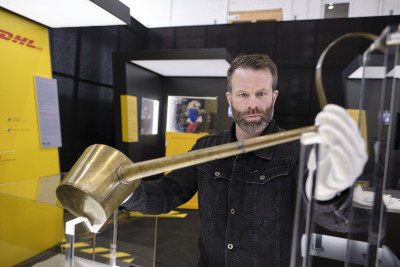 One security glass-protected display, for example, provides a detailed close-up view of a rare brass ear-trumpet custom-made for Beethoven by a well-known Viennese inventor as a hearing aid for the increasingly deaf composer. The metal is 200 years old, of course. All together ‘BTHVN on Tour’ visitors can examine, watch, listen to and participate in a total of seven individual stations featuring a variety Beethoven-related exhibits, including having their picture taken and included with 1,400 other miniature photos to create a wide-screen computer-generated mosaic portrait of the master composer himself. 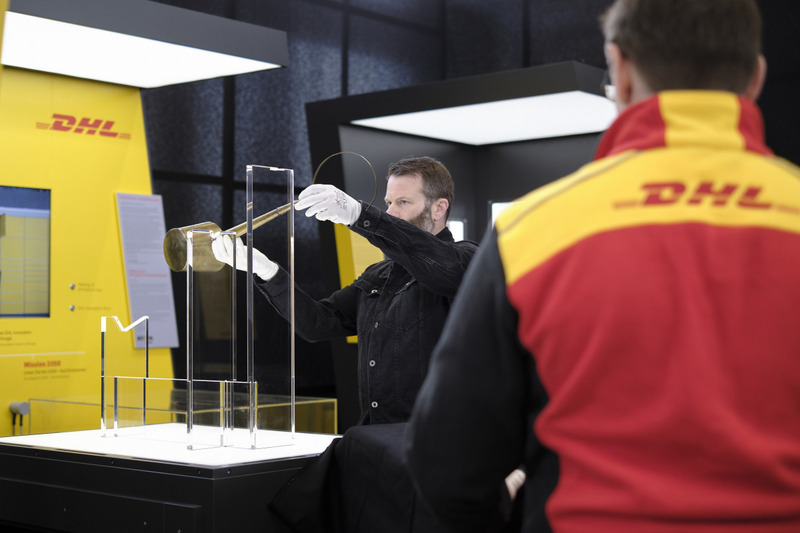 Putting this show together and keeping it on the road for two years is the task of DHL Trade Fair and Events, a subsidiary of DHL Freight that specializes in transporting and setting up unusual projects for DHL partners the world over, ranging from musical instruments for Leipzig’s Gewandhaus Orchestra to Formula 1 racing equipment. 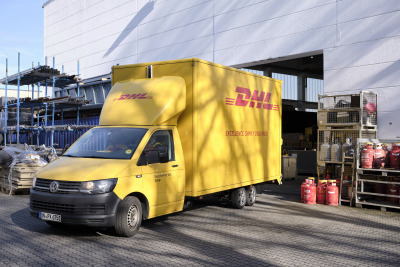 Included among their many areas of proficiency – and one that is often overlooked – is a thorough understanding of how to best comply with a wide variety of differing customs requirements – an important and yet often underestimated aspect of shipping valuable antiques across multinational borders. 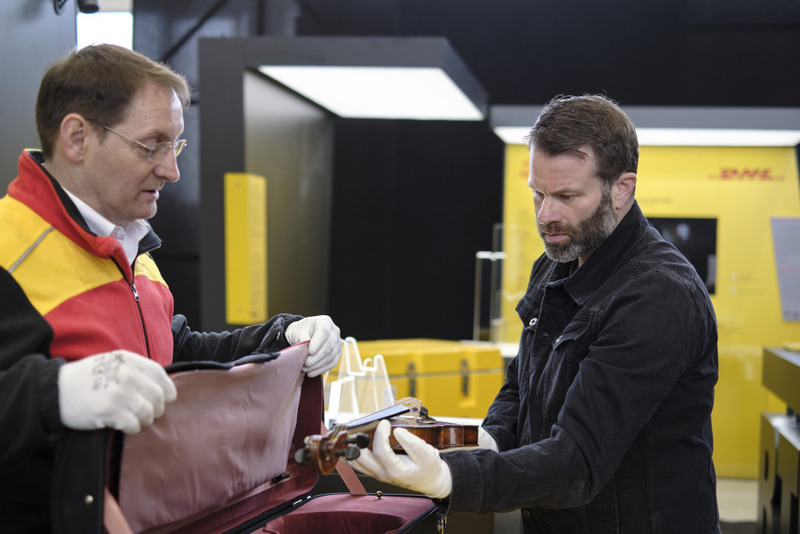 We have often shipped valuable musical instruments for entire symphony orchestras all around the world and back, so we know what we are doing. 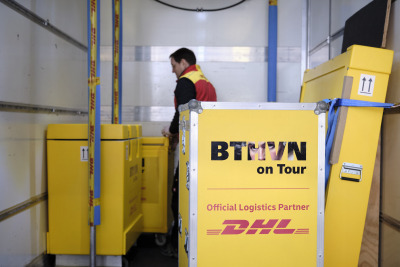 This time, though, Klammer and his team of logistics specialists face new challenges: Shipping more than 87 cubic meters of exhibition equipment – as well as wall and flooring elements – loaded into 30 large wooden crates weighing over seven tons to more than ten concert halls and other selected venues in Europe, the US and Asia through the end of 2020. 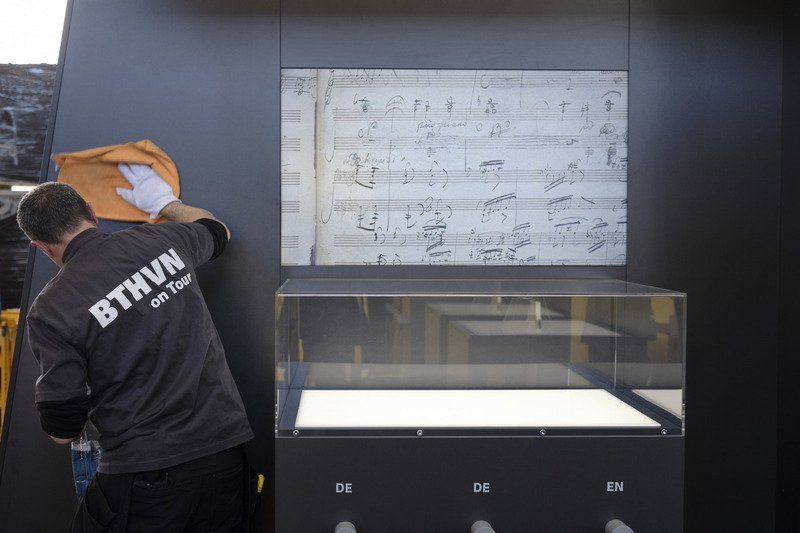 And all while ensuring the safety and security of the priceless and fragile historical objects that have been entrusted to their care by Beethoven-Haus Bonn. But despite the most careful planning, last-minute alterations are also a fact of life. 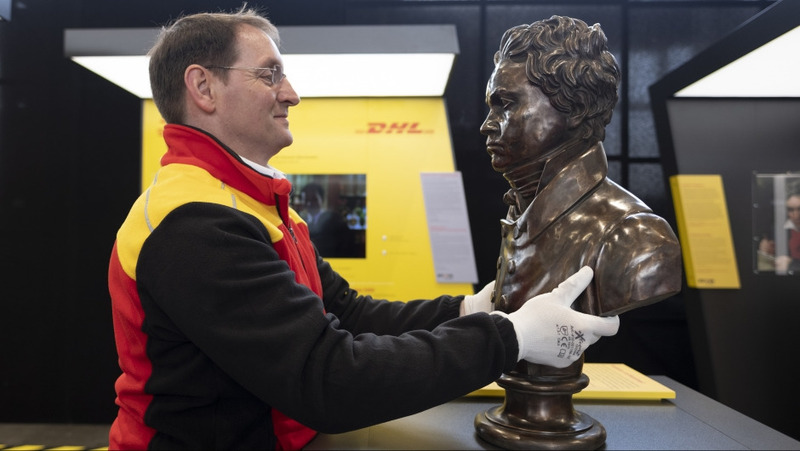 The height of a bronze bust of Beethoven, weighing almost 40 kg, had been accidentally measured incorrectly, which required the reconfiguration of a customized case. 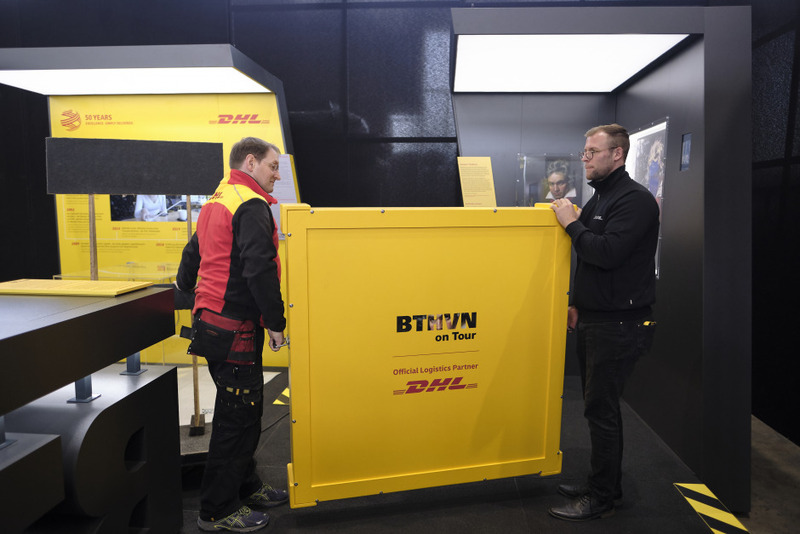 The unexpected change actually proved to be advantageous, though, since the required remodeling created space for two items to be included in the container, instead of only one. Thanks to the intensive planning efforts of a dedicated team of experts, over the next two years, ‘BTHVN on Tour’ will be providing audiences all across the globe with seldom experienced insights into the life and works of the classical music genius Ludwig van Beethoven – orchestrated and delivered with the expert support of the world’s leading logistics company Deutsche Post DHL Group.